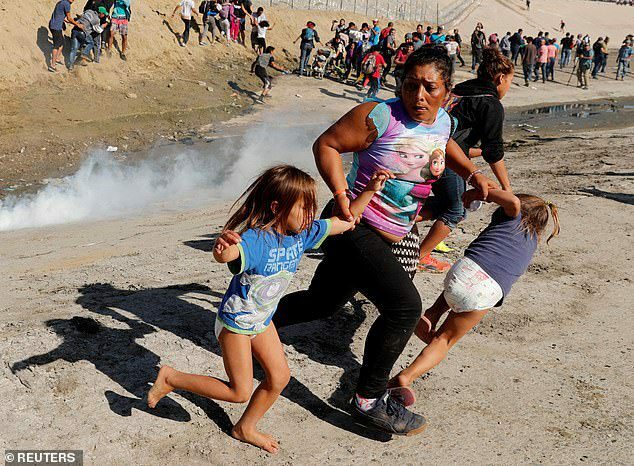 A desperate mother fleeing with her little kids as US border patrol guards open fire on them with tear gas. Her terrified children crying, spluttering and screaming – desperate to escape the gasping, pain-inducing hell of the gas as it enveloped them. No compassionate human being can possibly look at the photographs and feel anything but horror. They were taken yesterday afternoon on the Mexico-US border point at San Ysidro in Tiguana, where a caravan of over 5000 migrants has amassed after a lengthy journey from Central America. The border guards claimed they fired teargas because they were threatened by a group of several hundred mostly male migrants, some throwing rocks as they stormed the border trying to illegally enter the U.S. after opening a small hole in concertina wire. Cable news moved swiftly to saturation coverage of the latest outrage by the man they consider the most outrageous president America’s ever seen. And of course, liberal celebrities raced to Twitter to scream their foul-mouthed fury and abuse at him. Yet amid the outpouring of equally enraged responses to her tweet to Trump, one leaped out at me from someone named Brandon Darby, a conservative blogger and managing director of Breitbart Texas, a right-wing website. I clicked on the link Darby provided and it took me to a report in the San Diego Union Tribune newspaper from November 25, 2013, headlined: BORDER PATROL: CROWD CONFRONTS AGENTS’. Obama had indeed done the same thing, albeit with his border agents using pepper spray, not tear gas, at the same exact place. In fact, by a very weird coincidence, it was on the exact same month and day. The only difference is that nobody seemed to care very much, and certainly not Alyssa Milano or her celebrity friends for whom Obama can never do any wrong. And this is my problem with the liberal outrage over everything Trump does, and especially over immigration: it’s very, very selective. As I repeatedly remind people, ‘Saint’ Barack Obama deported more illegal immigrants in his 8-year tenure than any other president in the history of the United States. He was so zealous in his mission he threw out over three million people and earned himself the nickname ‘Deporter-in-Chief’ in Mexico. This was no accident; illegal immigration was something Obama had always felt very strongly about. So the idea Obama would have simply sat back and let these latest large groups of migrants charge into America illegally is obviously utter nonsense. Just as his anger at Trump over the President’s appalling child separation policy earlier this year struck me as very hollow given Obama himself locked up hundreds of central American kids in steel cages while they were being processed – and ‘unofficially’ caused many to be separated from their parents too. It’s just as laughable to think the Clintons would do nothing either. Until very recently, when it’s suited them to demonize Trump over immigration, they’ve always competed with each other to see who can be tougher on the issue. 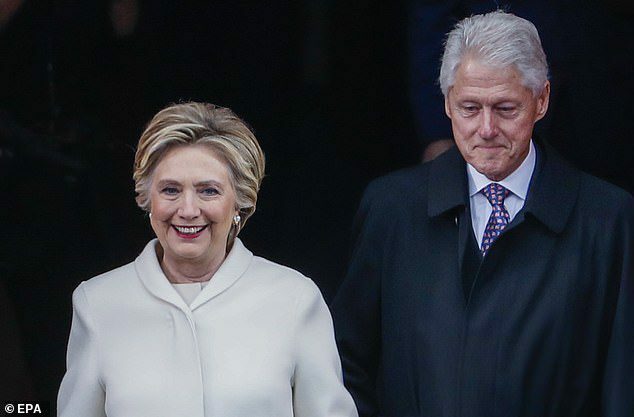 It was Bill Clinton who presided over the draconian Illegal Immigration Reform and Immigrant Responsibility Act of 1996, which represented a dramatic increase in immigration enforcement. The Border Patrol was substantially enlarged, numerous minor immigration violations were newly criminalized and deportations thus significantly increased. Hillary Clinton publicly supported the Act. Hillary also loves to berate Trump for his controversial plans for a ‘Wall’ across the southern border, but she once herself voted in favor of legislation to build a fence along 700 miles of the same border in a bill called the Secure Fence Act of 2006. ‘I voted numerous times when I was a senator to spend money to build a barrier to try to prevent illegal immigrants from coming in,’ she admitted. One woman’s ‘fence’ or ‘barrier’ is another man’s ‘wall’. So let’s cut the hypocritical crap over Trump and immigration. 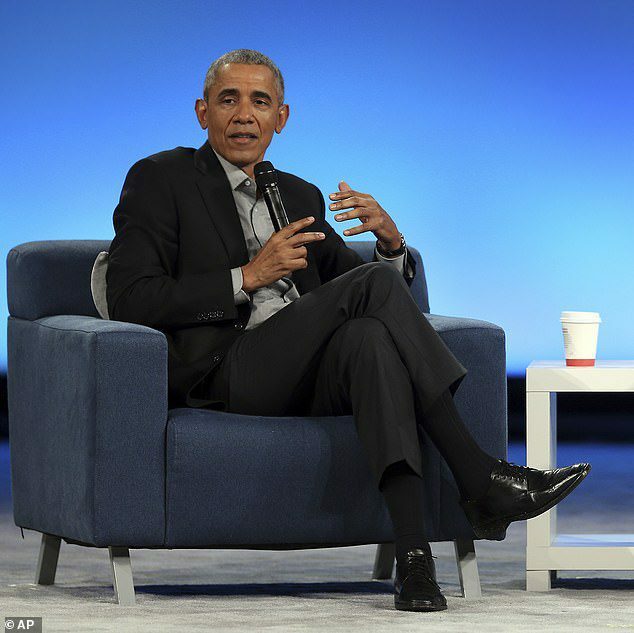 He might express himself in more belligerent, bellicose language – though even that is debatable in this case – the attitude he has towards illegal immigrants is not really much different to that espoused by Obama and the Clintons. 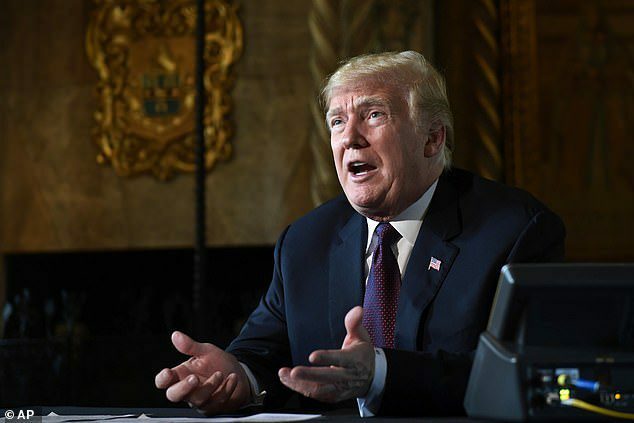 However distasteful these new images may be to people who prefer to turn a blind eye to what happened under previous administrations, the more pressing concern is that America’s immigration policy clearly needs urgent and long overdue bi-partisan reform. With regard to the caravan migrants, I am all for helping people fleeing war-zones or oppression seek asylum in countries like the United States, or Britain for that matter. But they have to do it the right way. It’s not acceptable to just charge at a border to try to get in illegally. There is a process, and there are laws, that must be recognized and abided by. We’ve seen what’s happened in Europe over the past few years when countries lost control of their borders as millions of migrants swept across the continent, many to escape from the Syrian war. Too little was done too late to deal with the problem, and as a result, horrible amounts of death and chaos ensued. Trump doesn’t want a similar crisis arriving at America’s door, and nor frankly should any American. 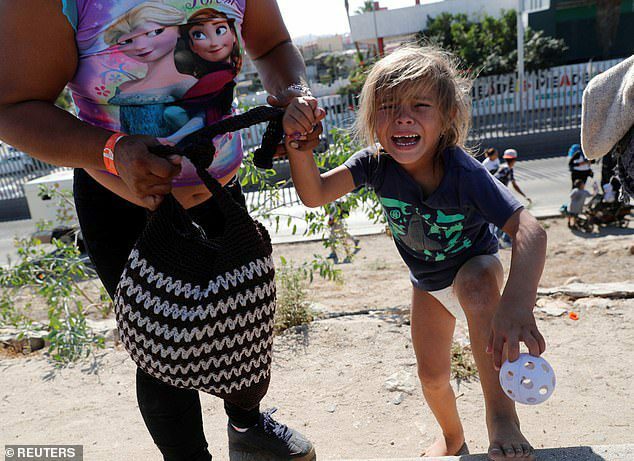 As for the mother in the photographs from yesterday, I don’t think it’s harsh or unfair to ask what the hell she thought she was doing taking them to join a large group of men rushing the border after repeated warnings from President Trump that any such behavior would be met with force? Yes, America has a responsibility to help genuine asylum seekers. But parents too have a responsibility not to deliberately put their children in potential harm’s way like that. I didn’t like those teargas photos. But nobody died, and there is a bigger picture here in which the problem isn’t Donald Trump.